It took me a rather long and harrowing journey across Mumbai to really understand the idea behind the entry-level cars. The first half of the journey was an hour-long trip in the train, standing with barely any room among sweaty men and my bag over my head. Following that was a 15-minute journey in an auto rickshaw with seven others, before I finally reached Maruti's stockyard to pick up the new Alto 800. After that trip, it didn't matter that the car didn't have height-adjustable steering, Bluetooth connectivity or automatic climate control. I was just glad to have a roof over my head, air conditioning, a cushioned seat and an airbag for safety. For most people looking to buy their first car after years of hanging out of the local or fitting an entire family on a motorcycle, these basic luxuries are not taken for granted. And for the longest time, Maruti was undeniably at the top of its game in this segment with the array of 800s. That, of course, was until Renault brought in the Kwid and upped the ante with a few new features and a design that really set it apart from the crowd. 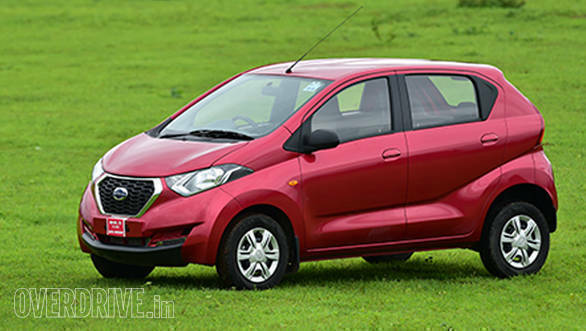 Right from the start, we knew that Datsun was working on a car of its own based on the same CMF-A platform and here it is  the redi-Go. But will it have the same effect the Kwid had on the market? Unlike other cars from the Renault-Nissan Alliance, the redi-Go and Kwid couldn't be further apart in terms of design. Renault gave the Kwid a very SUV-inspired design with the muscular haunches, plastic cladding around the arches and high ground clearance. The front end of the Kwid has a bold design with the rugged-looking grille and a well-contoured bumper. However, what let it down are the skinny tyres on the small wheels and the small hatchback-looking rear end. 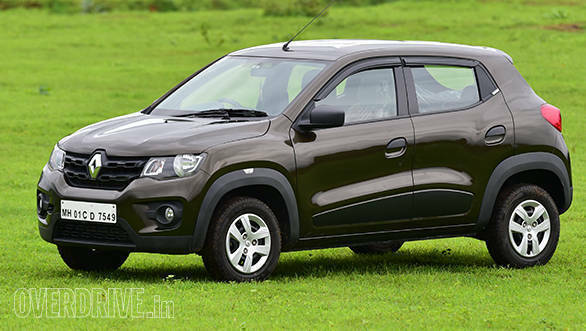 I personally prefer the Kwid's design especially because of how much it stands out from the crowd. For most people stepping out from the chaos of the Mumbai local, that's exactly what they want. 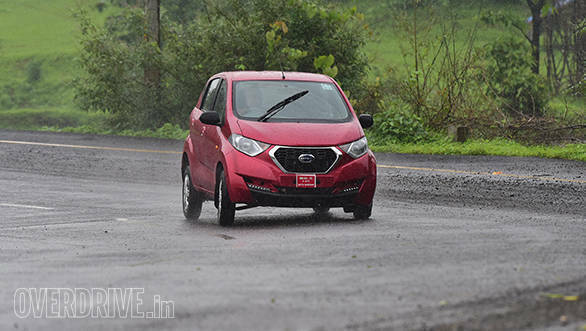 The redi-Go meanwhile is what Datsun calls an "urban crossover". 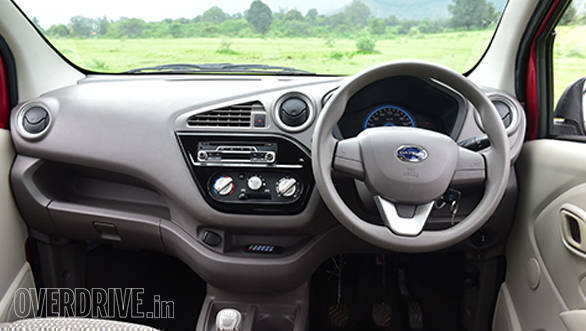 To me, however, that design language is very similar to the tallboy design seen in other cars like the Maruti WagonR and Hyundai Santro and isn't as unique as Datsun hoped it would be. That said, due credit must be given to Datsun for coming up with a design that is all-new. There are plenty of quirky lines like the ones running from the grille to the A-pillar and from the front door to the tail light that gives it a character. The redi-Go has a very in-your-face front end with the large hexagonal grille and wrap-around headlights which make the other Datsuns look a bit dated. The rear, however, with its high loading bay, folded bootlid and small lights, is not my favourite angle of the car and bound to polarise customers. 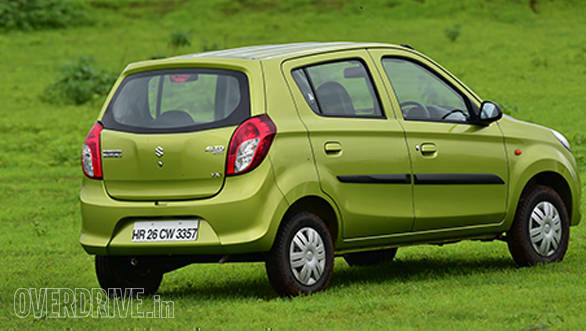 Maruti Suzuki, however, is playing it safe with the Alto 800, giving us a design seen only too often in entry-level segment. Although this is the facelifted version, it takes a keen eye to notice the new front bumper, grille and headlights. The rest of the exterior is disappointingly the same as the previous model. If you ask me, the Alto 800's design is a bit too conservative with the simple straight lines and dated design. It doesn't have as much presence as the other two cars and is a bit too Hello-Kitty-themed for my liking. Similarly, the Alto 800's interior layout feels a bit old and rather dull compared to the other two. The redi-Go's lighter colours make the cabin feel roomier while the various angles and the piano black trim in the centre keep things interesting. However, what disappoints is how cheap and flimsy the plastics feel compared to the other two. Cost cutting is also evident with the exposed B- and C-pillars, and there aren't too many storage spaces either. However, it is the most spacious option here, with the best knee room and shoulder room. The Kwid on the other hand suffers from the least headroom, but has marginally better knee room and shoulder room than the Alto. It also boasts of the largest boot space and can hold 300 litres, while the redi-Go and Alto 800 can accommodate 222 litres and 177 litres respectively. The Alto 800's dash, although a bit boring, feels well put-together with decent plastics and an easy-to-use console. However, the 12V port is placed rather awkwardly behind the steering wheel. So when you're charging your phone, the cable dangles annoyingly right next to the gear stick. If you're charging your phone and listening to music via an aux cable, you'll almost certainly unplug one of the cables while shifting gears. 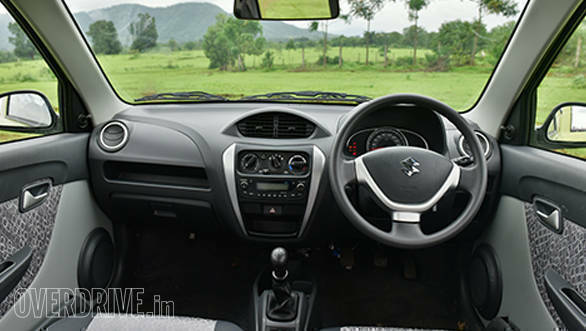 In comparison, the Kwid's interior looks neat and simple with the large touchscreen and simple shapes. It has a good number of storage spaces and feels a bit more premium than the others with the neat piano black and chrome trims as well as the funky digital speedometer. It also has more storage space than the others and feels well thought out. While there are signs of cost cutting, it has been done a bit more inconspicuously. For instance, the cover for the top-half of the dash is made quite flimsily and the lock feels like it could break at any moment. Another example of cost cutting is seen in the boot where the rear wheel arches are exposed completely unlike the other two. As soon as I cranked up the Alto 800, its familiar three-cylinder thrum took me back to my earliest memory of a Maruti 800. While refinement has obviously increased tenfold, the engine note is unmistakably similar to the earlier 800s and it enjoyably felt a bit old-school. That said, for a car in this day and age, NVH levels could have been better. 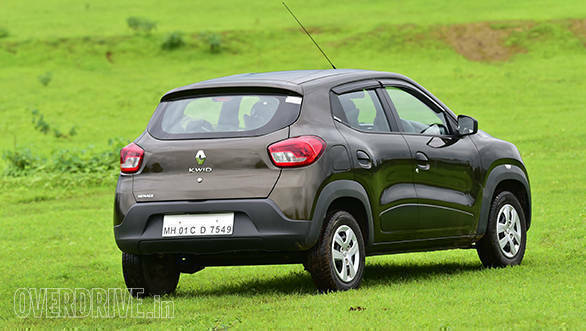 In comparison, the more modern 799cc three-cylinder engine, which the Kwid and redi-Go share, is certainly more refined. However, the Kwid is definitely better insulated and doesn't allow for too much engine noise inside the cabin. Despite making the same 54PS and 72Nm as the redi-Go, the Kwid is also surprisingly quicker to 100kmph with 16.4s on the clock while the redi-Go manages the same in 17s. This is because the Kwid's lighter weight results in a better power to weight ratio. 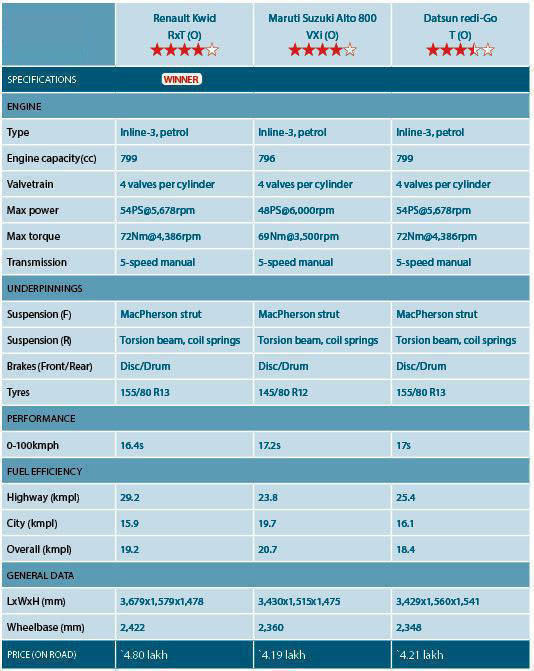 The Alto 800 on the other hand is the slowest here and goes from 0-100kmph in 17.2 seconds. However, that wasn't unexpected considering its 796cc engine makes just 48PS and 69Nm. But for a person buying his first car, his first concern isn't going to be how quick it is, but how efficient it is. 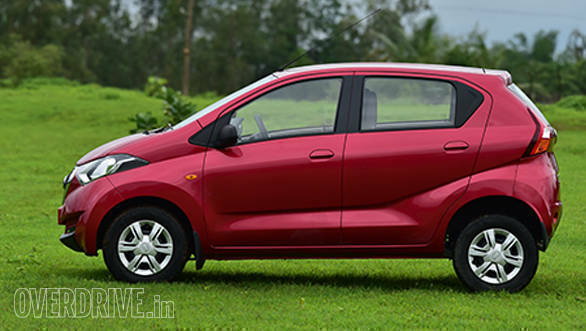 In that respect, the Alto 800 comes out on top with an overall efficiency of 20.7kmpl. The Kwid and redi-Go meanwhile returned 19.2kmpl and 18.4kmpl. 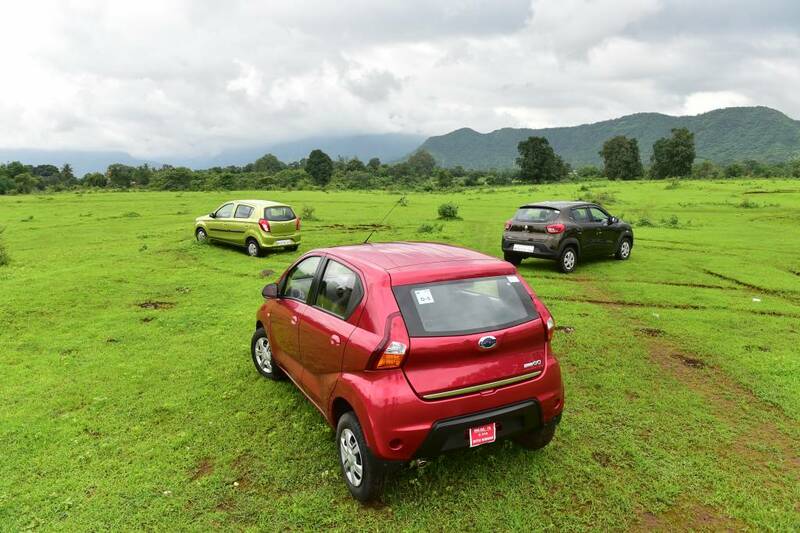 In the city, where these cars are likely to be driven the most, the Alto 800 gave us 19.7kmpl, while the Kwid and redi-Go returned 15.9kmpl and 16.1kmpl. On the highway though, the Kwid was clearly the most efficient doing 29.2kmpl while the redi-Go and Alto managed 25.4kmpl and 23.8kmpl. 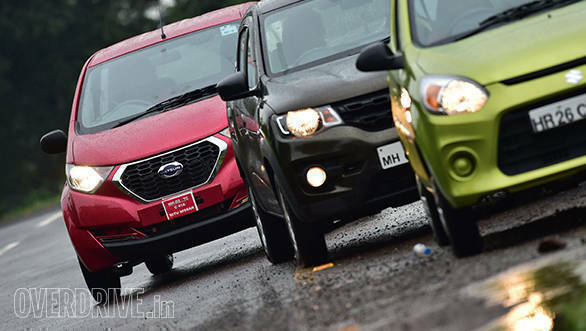 The gear ratios on all three cars have been set up ideally for city driving conditions which means there isn't a necessity to shift gears frequently in slow-moving traffic. While the gearboxes on all the three cars are precise and smooth, I personally prefer the slick feel of the Alto 800's 'box. 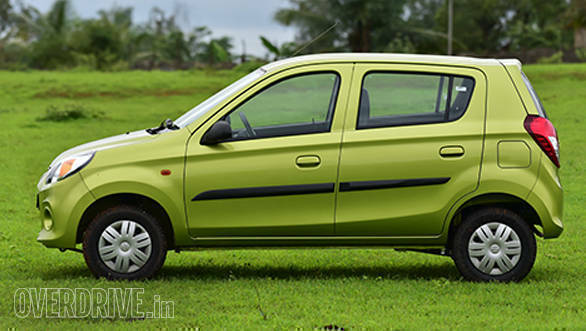 The long journey I spoke about earlier had clouded my initial judgement of the Alto 800. It had me nodding in approval of the Alto's ride quality and suspension set-up all the way home until the next day when the Kwid showed up. No sooner had I swapped cars than I realised how much suppler the Kwid felt. 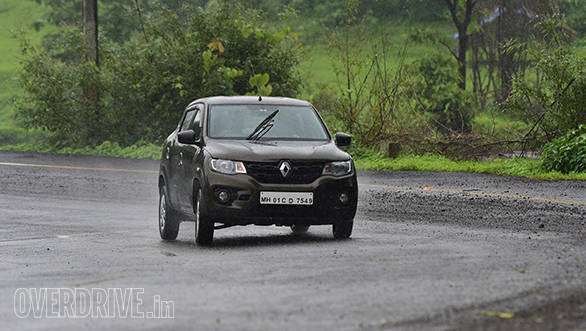 While the Alto 800 felt stiff and bouncy, the Kwid absorbed the broken patches created by the monsoon very well. Although it was a similar situation with the redi-Go, poor insulation made the suspension seem very noisy over bad roads. The redi-Go's suspension has also been adjusted to offer 185mm of ground clearance, which is 5mm more than the Kwid and 25mm more than the Alto. While the extra ground clearance is something a lot of customers take into consideration, they forget the impact it has on the car's handling.There is an unnerving amount of body roll from the redi-Go at higher speeds, and to making things worse is its electric power steering. The light steering offers very little feedback and is very twitchy. The Kwid too uses the same electric power steering unit, but the suspension is set up to offer a good balance between ride and handling. While there is body roll, it feels controlled and doesn't shake your confidence too much. 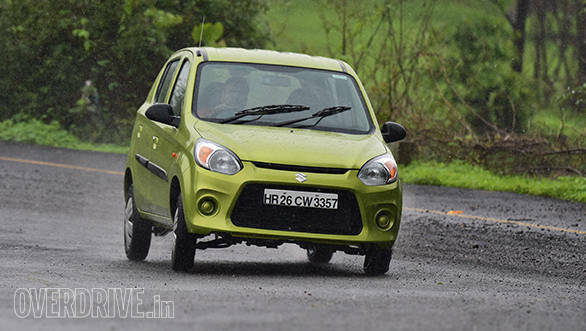 The Alto, however, is easily the best handling car here, thanks to the stiffer set-up. It stays flatter through the curve and the heavier steering set-up inspires a lot more confidence. While the steering might not be as comfortable to use in town, the Alto is certainly the most fun to drive here and feels nimble enough to be thrown around a fair bit. On the highway, the Alto is much easier to hold steady thanks to the steering, but the stiff suspension can make the ride rather jumpy over undulations. There is a fine line between the things one wants and the things one needs. 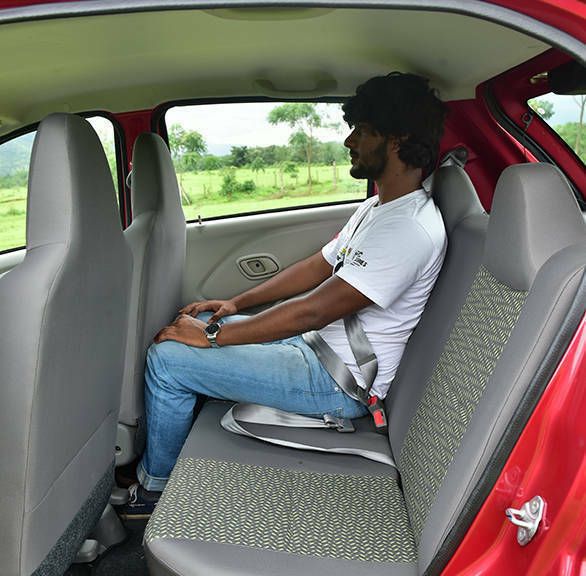 In that respect, the redi-Go and Alto 800 offer a first-time buyer everything he needs  air conditioning, a music system with USB and aux connectivity, power windows and power steering. 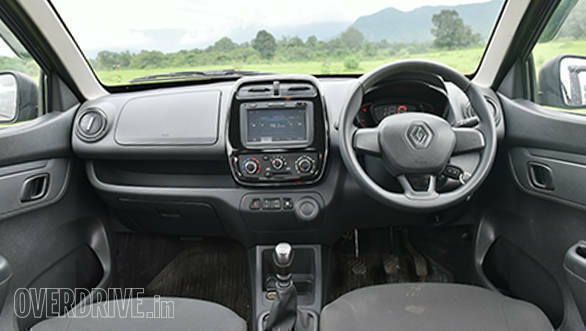 The Kwid on the other hand offers features that a customer would want in his first car like a touchscreen infotainment system, Bluetooth connectivity and built-in navigation. 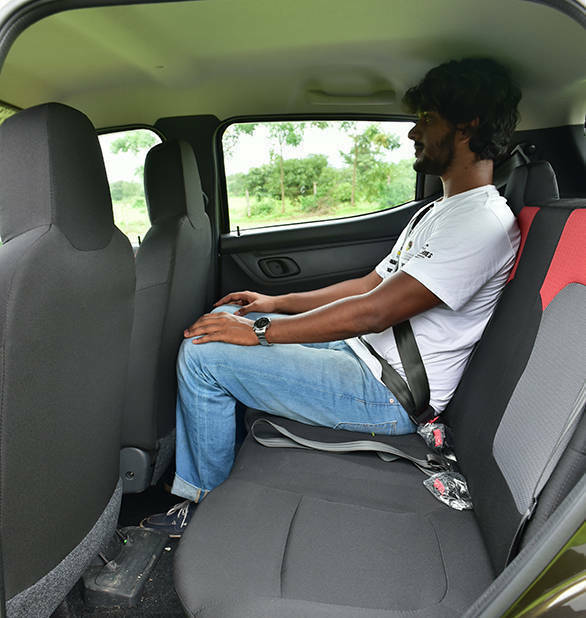 But in terms of safety, Maruti Suzuki gets a special mention for offering a driver's side airbag as an option across all trims of the Alto 800. The other two, however, are offered with the optional airbags only in the top-end trim. Additionally, the Alto 800 is the only car here which gets pretensioned rear seat belts. The fact that Datsun and Renault still offer seat belts without pretentioners in this day and age is quite alarming and very disappointing to say the least! As I get to the end of this review, I've realised that if I need to buy a new car right now, these are the only options I can afford. So except for the fact that I don't have a family of four, it's not going to be too hard to put myself in the shoes of someone looking for a car in this segment. Until recently, making a choice between the Alto 800 and the Kwid would have been quite tough considering the price difference. However, Maruti has just increased the price of the top-spec Alto 800 by Rs 20,000, pushing its price up to Rs 4.19 lakh on-road in Mumbai. Although the Alto 800 isn't the best looking car here, I quite like it because it's a more driver-focussed car than the Kwid and the redi-Go. It's also the most efficient and handles the best. However, if I had to ferry three other people around, Alto 800 is neither the most spacious nor the most comfortable option here. 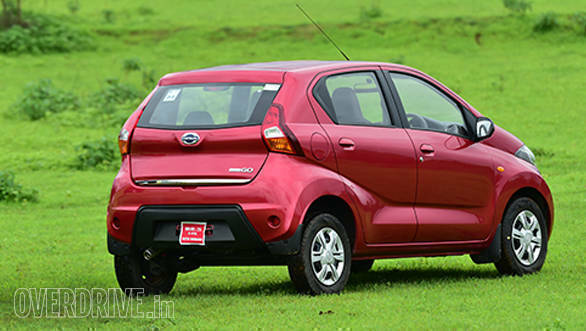 The Datsun redi-Go, which is just a bit more expensive at Rs 4.21 lakh, isn't necessarily a bad option. Its design is sure to get some attention while the interior offers the most space for passengers. However, what really lets the redi-Go down is the poor plastic quality inside. Additionally, the engine, which is actually quite refined, loses its charm because of poor NVH levels. Overall, the car just isn't appealing enough for me to want to spend all my hard-earned money on it. 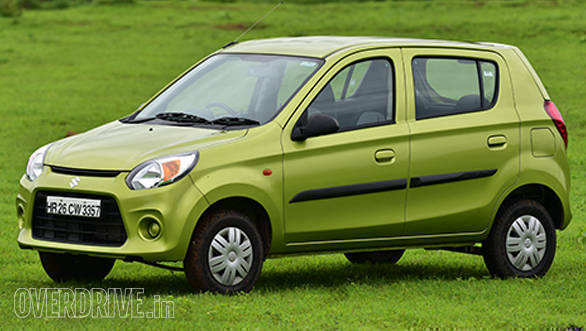 In fact, the Alto 800 would be my pick of the two. And that brings us to the Kwid. The top-of-the-line trim with the optional airbag will cost me Rs 4.80 lakh on-road. That Rs 60,000 premium I'll have to spend over the Alto will be a significant stretch on my budget considering it is around 14 per cent of the Alto's cost. However, the more I drive the Kwid, the more I want to find a way to come up with the extra cash. It not only offers better features, but it is also better engineered and more spacious than the Alto. That said, the Kwid would have been all the more appealing if Renault had offered the optional airbag across all trims. 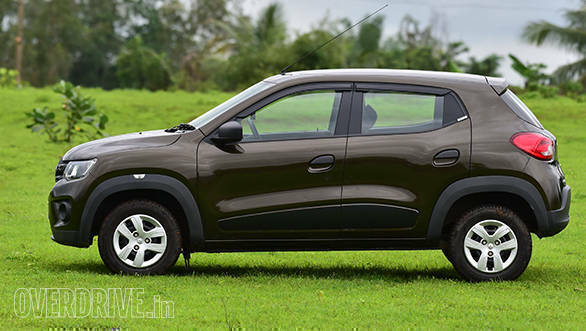 Overall though, the Kwid offers a good balance between quality, performance, efficiency, ride and handling. Quite simply put, I think the Kwid is the best example of what a perfect first car should be.